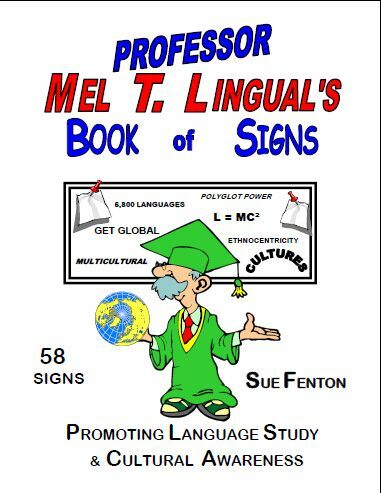 PROFESSOR MEL T. LINGUAL'S Coloring Book of Signs [MFP 114] - $0.00 : Madame Fifi Publications, Innovative teaching materials to get students speaking in world language, ESL, language arts, and other classrooms, song methods, creative ideas, workshops, Virtual Residence Language method. 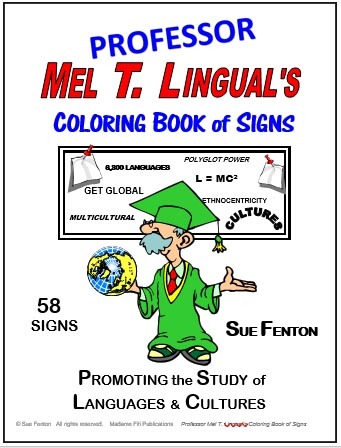 This is a really lively and fun coloring book full of 58 signs that promote language study and awareness. Your students can color their favorites to display on the classroom walls or use as binder covers. The cartoons and messages give a variety of excellent practical and personal reasons for studying languages from increasing cognitive abilities to improving AP scores and vocabulary, to being plugged into the world, to the enriching one's life, to increasing job potential, to traveling, and many more. 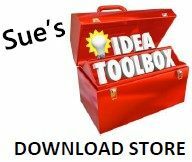 Uses: 1) Display in the classroom and around the school. 2) Use them for Multicultural Awareness Days. 3) Let students color them during free time and keep them to bring home or use as a cover for their binders. "Technology and Languages Make You Feel at Home Anywhere"
"Learn a Language - Make New Friends"